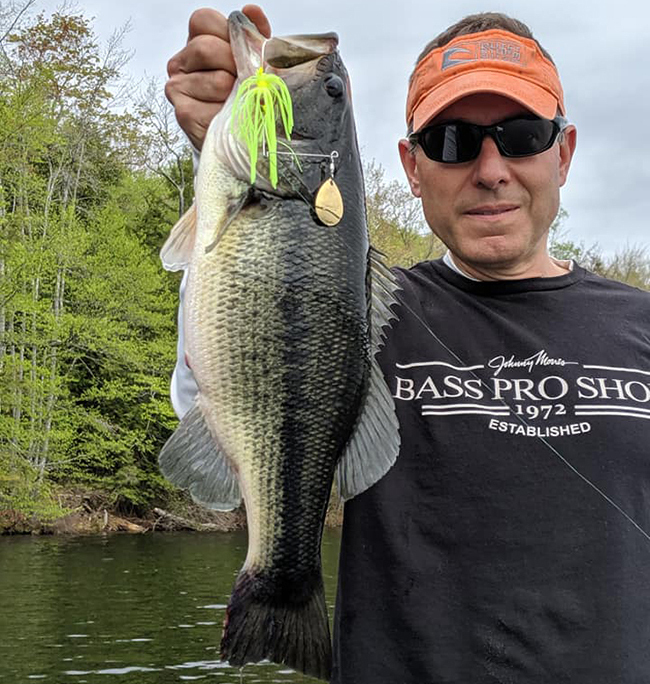 "mini mike g" with a huge 23-inch, 5.2-lb. 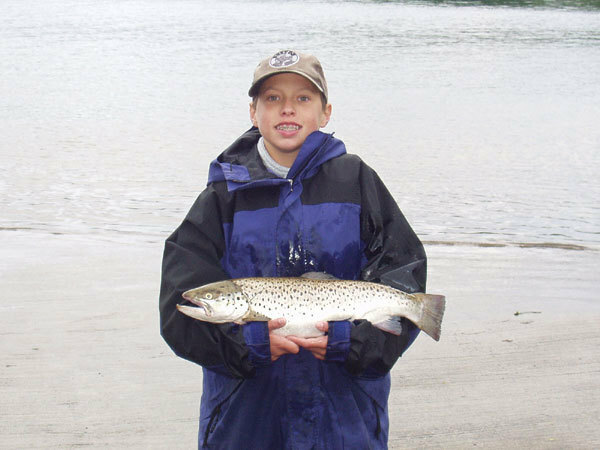 brown trout he caught at Highland Lake on 6/1/03. 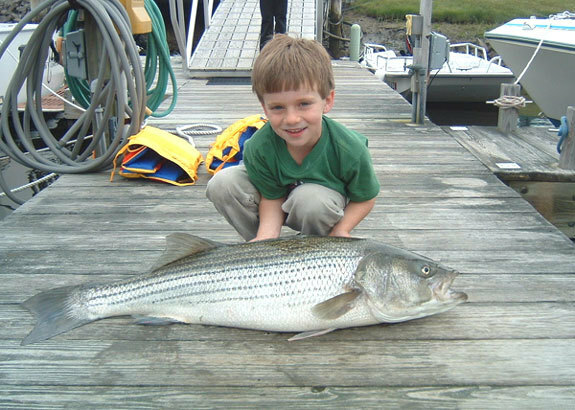 Six-year-old Nat Berman with a striper he caught off Westbrook, CT on 6/7/03. Report. 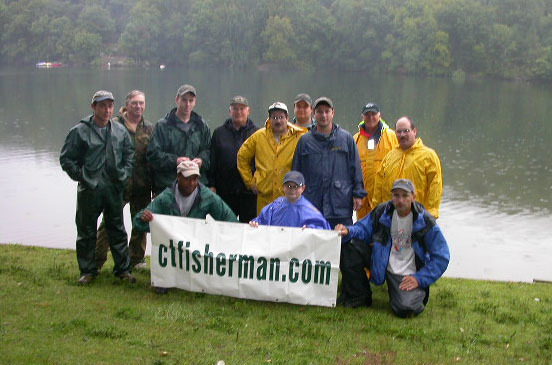 Some of the ctfisherman.com gang enjoying "Hammapoluza 2" on Saturday June 21, 2003.
ctfisherman.com friends and family got together for a "Chill & Grill" on 7/20/03 at Peoples State Forests in Barkhamsted, CT.
Mike M. with a monster 54.4-lb, 51.5" striper he caught off Niantic, CT.
ctfisherman.com friends and family got together for a day of fishing on the Mijoy party boat on Sunday, August 24 off Niantic, CT.
Greg Lownds with two nice smallies he caught in the CT B.A.S.S. 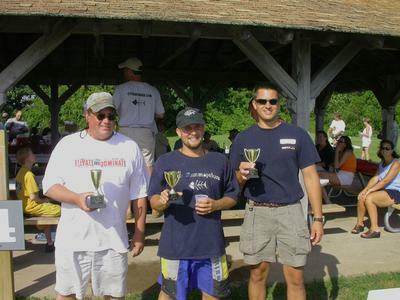 Federation State Championship on Candlewood Lake on 9/6. 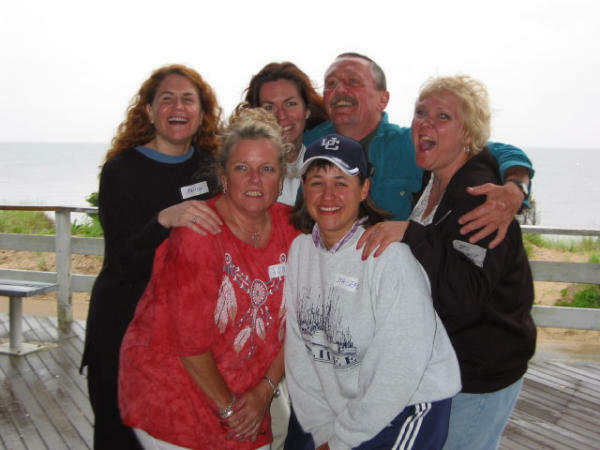 Congrats to Greg for making the 2004 CT B.A.S.S. state team! 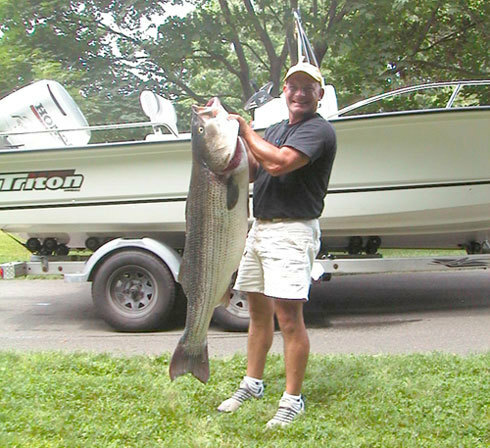 ctfisherman.com friends got together to fish Squantz Pond on 9/13-14.